India Today Mind Rocks Youth Summit - 2018. Star speakers. Stellar performances. Extraordinary ideas. 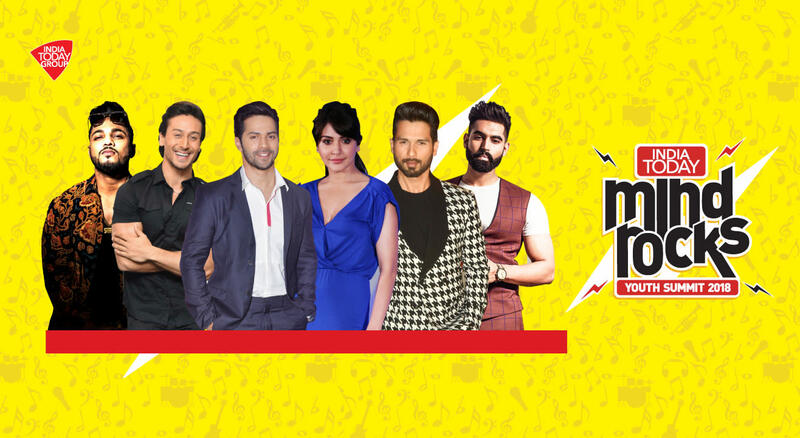 India Today Mind Rocks is a day long festival of talks, music and dance that taps into India's youthful energy. With an engaged audience that represents the energy and enthusiasm of youth and an all star line-up of speakers, this is India Today's date with India Tomorrow. Come face to face with your icons, ask them questions, and soak up their wisdom. Enjoy the magic. Create your own memorable moments. Rock your world with India Today Mind Rocks! Identity politics. Era of darkness or diversity? The laughter challenge - who does it better?